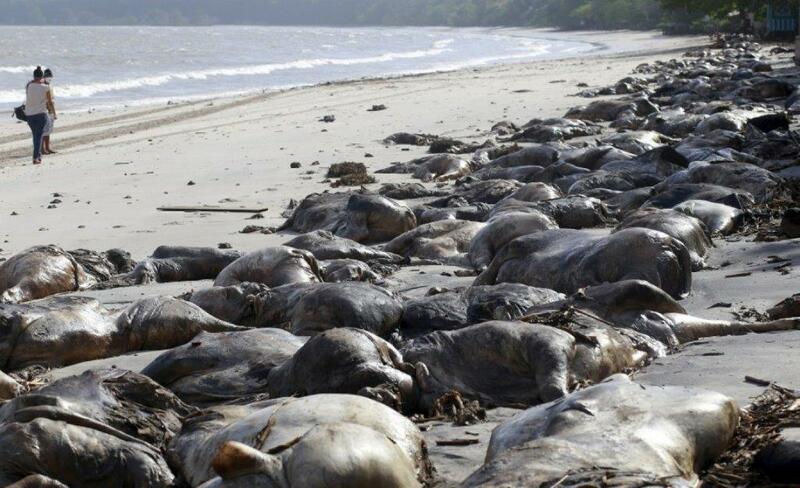 It's a message that can no longer be ignored: killing animals is killing the planet. 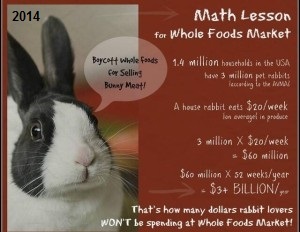 End the Cage Age - Make farming rabbits in cages illegal! Update 2017! "Isn't man an amazing animal? He kills wildlife - birds, kangaroos, deer. all kinds of cats, coyotes, beavers, groundhogs, mice, foxes, and dingoes - by the millions in order to protect his domestic animals and their feed. Then he kills domestic animals by the billions and eats them. This in turn kills man by the millions, because eating all those animals leads to degenerative and fatal health conditions like heart disease, kidney, and cancer. So then man tortures and kills millions more animals to look for cures for these diseases. Elsewhere, millions of other human beings are being killed by hunger and malnutrition because food they could eat is being used to fatten domestic animals. Meanwhile, some people are dying of sad laughter at the absurdity of man, who kills so easily and so violently, and once a year sends out a card praying for 'Peace on Earth'." Gail A. Eisnitz - Slaughterhouse: The Shocking Story of Greed, Neglect, and Inhumane Treatment Inside the U.S. Meat Industry It’s well documented that slaughterhouse workers often experience a form of Post-Traumatic Stress Disorder. As these workers are increasingly being treated for PTSD, researchers are finally starting to systematically explore the results of killing sentient animals for a living. January 18, 2017 France Passes Bill Mandating Cameras for Every Single Slaughterhouse By 2018, each one of them will be equipped with CCTV. L214’s video of the horrors is largely responsible for this breakthrough. Public misinformed about 'humane' animal products; AWI Report; meat recalls regular; HSUS spreads myth of "compassionate capitalism"
Shocking cases of animal cruelty by Manitoba pig producers; taking action; government bailouts; PED kills millions, MB Pork Council; vigils at Fearmans Pork, ON; trial for woman giving pigs water; not guilty! What has eyes, people conscious of their responsibility do not eat. Take a strong stand - say no to meat and ALL animal products. Everybody wins! Toronto Pig Save - Stand with Anita - Compassion Isn't A Crime! October 14, 2015: Compassion isn’t criminal. Anita Krajnc is in Court in Milton, Ontario, facing criminal mischief charges under $5,000 for giving water to pigs en route to slaughter. Unbelievable! It’s animal agriculture that is one of the biggest crimes in history. Tens of billions of sentient beings, each with complex sensations and emotions, live and die on a production line, and we are solely responsible for this horror. What does this say about us? Update: Around the globe, activists mobilized and began holding solidarity vigils in support of Krajnc. Well-known organizations like PETA are standing with her, as are celebrities like Jane Velez-Mitchell and Moby. People from all walks of life have come together, united in this fight for justice, and the media can’t get enough. It is history in the making! World Day for Farmed Animals was launched in 1983, and takes place on or about October 2nd. Get active. A demonstration was held at Lilydale Food Products, a chicken processing plant, in Port Coquitlam on Sept. 28, 2013 from 1 - 4 pm. 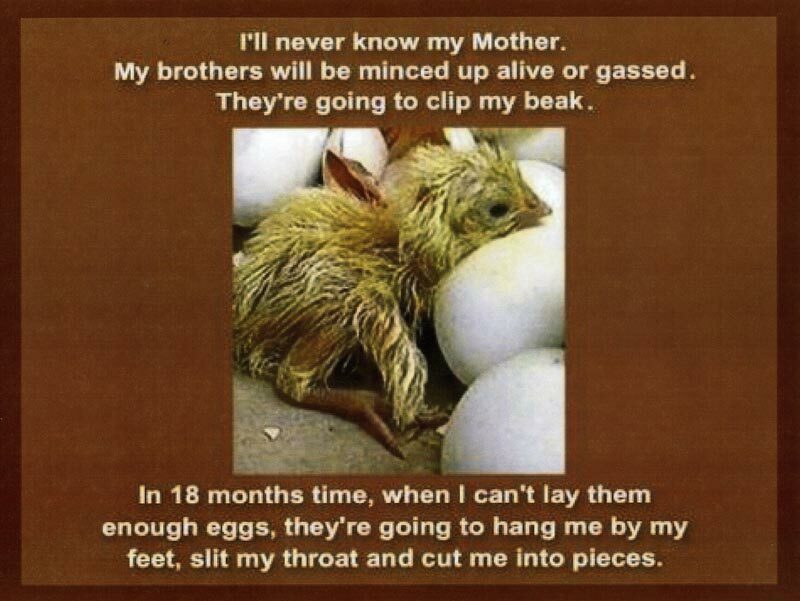 "Lest we forget their suffering" - the brutal and unjust lives of sentient beings raised for meat, dairy, and eggs. World Animal Day encompasses all animals and is held on October 4th. The United States becomes first nation in the world to formally recognize Vegan Earth Day in 2009, and Dennis Kucinich is the spokesperson for the 2012 Vegan Earth Day! He emphasizes three key reasons for adopting veganism: his health, his concern for animals and for the environment. 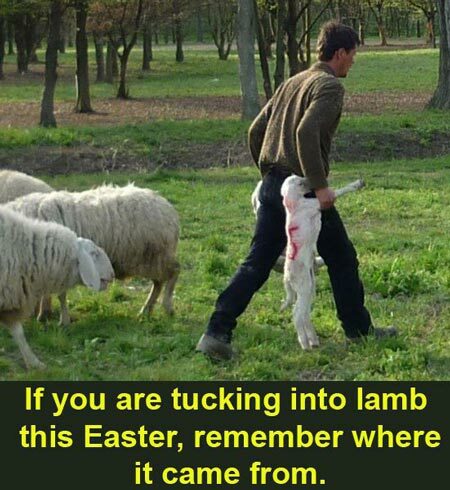 Canadian Lambs to Slaughter: Killings Too Cruel for AU but OK for Canada? Take action to stop live export! 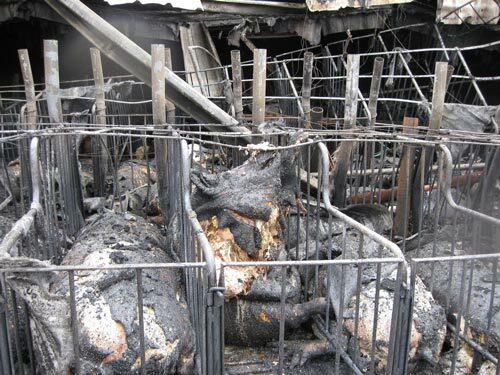 March 4, 2014 update: Tragically, about 1,300 pigs perished in a fire in Huron County, Ontario. One can only imagine the sheer terror and agony of these helpless victims as they were burned alive, desperate to escape the flames. Amending the codes to require sprinklers and smoke control systems has long been discussed. 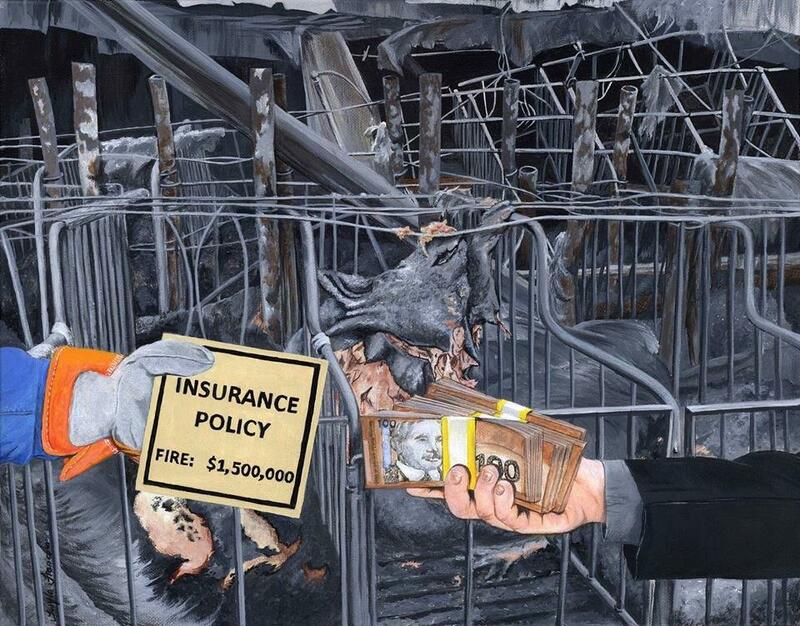 April 1, 2014 3,500 pigs die in barn fire near Lanigan, Sask. Comment: It takes a mere three to four minutes to fill a barn with smoke when a fire starts. The whole structure will be engulfed within six minutes. Farmers/producers have an ethical obligation to protect the animals whose lives they have exclusive control over. Yet financial and economic interests are always number one, and that’s how the value of these lives lost is measured. So what can you do? The best thing that will have the most impact is to adopt a plant-based diet. At long last, the Canadian Commission on Building and Fire Codes, with advice from the Provincial/Territorial Policy Advisory Committee on Codes, has agreed to work on updating the requirements for large farm buildings with a view to incorporating these updates into the 2015 National Building and National Fire Codes. For information, contact the Chair & Members, Standing Committee on Fire Prevention. codes@nrc-cnrc.gc.ca Carmina Gooch's letter to the Commission. It includes an expanded list of farmed animals who suffered terribly before perishing in barn fires. Comment: The unbearable fear and terror these pigs must have felt being trapped and helpless in cruel quarters is unfathomable. And then the audacity and cold-heartedness of the fire services coordinator to refer to them as objects - “anything”, “not sure if they can be used later,” – commodities for human utility. They were living, feeling beings!! No sorrow at all - a complete disconnect. Sadly, exploiting animals is so ingrained in our culture that most of us are untouched as to these tragedies. The repercussions are great. 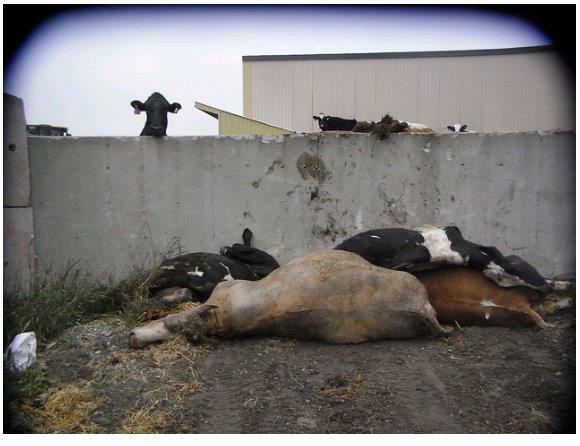 Comment: How these cows must have panicked and suffered before succumbing to a horrible death. Why haven't the fire codes been updated? If so many human lives were lost, you can bet charges would be laid. Comment: No injuries? 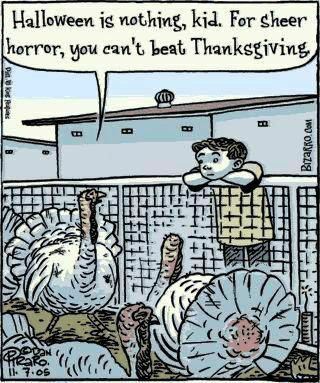 How about the 430 turkeys who suffered an agonizing death? Time after time we hear of these tragedies, yet it’s still legal to cram animals into unsafe quarters with no accountability. Just last year about 4,000 pigs perished when fire tore through a Hutterite barn in Bentley, Alberta. Comment: Yet another heartbreaking tragedy and nothing’s being done by the animal agriculture industry or our politicians to prevent such calamities. As individuals, we can boycott the industry. September 28, 2015 Yet another tragic consequence of factory farming. Two large barns in the Bradner community of Abbotsford holding an indeterminate number of chickens burned to the ground. The cause of the fire is unknown. Update: Up to 60,000 chickens dead! Isn’t this enough for us to come to our senses and end this madness? In 2012, 18,000 chickens perished in a 50x300-foot barn on Ross Road in Abbotsford. Comment: These poor ducks, tightly crammed together, were the victims of grotesque inhumanity and profound suffering that is standard throughout the animal agriculture industry. January 15, 2016 News media stories report 13 horses have perished in a Mount Forest, Ont., barn fire. A person who answered the telephone at the Mount Forest property said all horses were Arabian. This fire follows one on January 4 at Classy Lane Stables in Puslinch, southern Ontario, in which 43 standardbred horses died in a stable fire. Co-owner Jamie Millier said the economic impact reached deep into the close-knit, horse-oriented community. Comments like this one speak volumes about those in the horse racing industry. No concern was expressed about the horrific manner in which their lives ended. Additionally, the only fire prevention equipment in the building were some fire extinguishers. Every year thousands of farm animals, including over 140,000 last year alone, die in barn fires that could have been averted. Common sense should dictate that proper fire safety and prevention measures are mandatory for all barns before we hear of another deadly tragedy. January 17, 2016 About 500 milking goats perished in a barn fire near Delaware in Middlesex Centre, Ontario. Another 30 head of cattle also died. The fire moved quickly, leaving these poor animals no chance to survive. Meanwhile, owners collect insurance for their losses. Why isn’t industry being held to account? While the Ontario Fire Marshal’s Office does not gather records of animal injuries/deaths in fires, it does, however, document annual barn fire information. One-hundred-fifty barn fires were recorded for the year 2014. Of these barn fires, 45 per cent involved animals. In 2013 and 2012, records were very similar and no red flags jumped out from any of the statistics. January 19, 2016 Outrageous! At least 2,000 pigs have been killed following a barn fire in North Middlesex, north of London, Ont., early Tuesday morning. Demand government take action & make proper fire prevention systems mandatory in all barns. In reality, the entire system of using animals as resources is wrong. It’s time to end it. January 23, 2016 No sooner had we written to politicians and other relevant agencies regarding barn fires, we hear of yet another one. Just north of Stratford, close to 200 of the approximately 2,000 pigs inside did not make it out alive. February 1, 2016 In St. Thomas, Ontario it’s been reported that 85 dairy cows perished in a barn blaze, while 10 or 15 cows escaped. In response to our recent email to politicians and other relevant agencies on this matter, we received a reply from the NFACC. It was stated that the codes fall outside of the NFACC’s mandate and that the Canadian Commission on Building and Fire Codes (CCBFC) would need to initiate an update to requirements for farm buildings. February 19, 2016 A barn fire near Hensell, Ontario, has left 300 sows dead, along with 700 smaller pigs. These fires must be thoroughly investigated by the Fire Marshall to determine cause. If the fire and consequent animal suffering were caused by negligence, animal cruelty charges must be considered. February 25, 2016 Yet another barn fire has killed 50 cows and 20 calves, this time in Brockton, Ontario. Will there ever be justice for the innocents? Man’s inhumanity is staggering. April 1, 2016 Yet another tragedy. This time 25 sheep perished in a P.E.I barn fire. Fire chief, Jason Blackman said there was no way they could have got the sheep out of the 40-by-50 square foot barn alive. And on March 27th, 44 cows lost their lives after a powerful blaze tore through a Maryhill, Ontario dairy barn. April 19, 2016 At least 100 cows perish in $1M fire at Tecumseh dairy farm. The fire started with a straw shredding machine that makes straw finer for the cows’ bedding. Approximately 225 cattle were inside, said Tecumseh fire prevention officer Bob Hamilton. In a subsequent news item, firefighters relay how they struggle with the effects of such a traumatic and catastrophic event. May 30, 2016 About 50 cows perished in yet another deadly barn fire, this time just north of Waterloo, ON. August 10, 2016 A massive fire at Harman Poultry north of Prince Albert, Sask., kills 7,500 egg-producing hens. Cam Broten, executive director of the Saskatchewan Egg Producers, said “people don't need to be concerned a shortage of eggs on grocery store shelves.” Sadly, sentient beings are regarded as mere production units for the industry. January 31, 2017 According to various media outlets, an estimated 4,000 pigs were killed in a massive barn fire near Sarnia, Ont. For years, politicians have declined to take action and mandate barn codes be updated. Sadly, powerful industry interests take precedence over animal welfare. In the race to the bottom, animal agriculture wins, hands down. 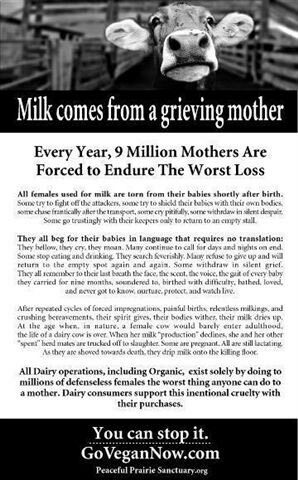 Consumers can make a difference by boycotting such inhumanity. February 13, 2017 Another day, another heartbreak in the inhumane, immoral, and brutal animal agriculture industry. Between 5,000 - 6,000 chickens have perished as a result of a massive fire that broke out at a farm in Abbotsford, B.C., Monday morning. The blaze tore through one barn and damaged another on Tolmie Road. The 5,000 chickens in the second fire survived. February 15, 2017 47 cows are dead after fire ripped through a barn on a Gatineau dairy farm early this morning. They died of smoke inhalation. A total of186 cows were housed in three barns when the fire broke out. Politicians have repeatedly declined to take action and mandate barn codes be updated. Surely, they bear some responsibility for these tragedies. March 8, 2017 1,000 animals die in fire at pig farm in Saint-Robert in the Montérégie, Quebec. March 24, 2017 Roughly 500 pigs perished in barn fire in Seaforth, ON. “Huron East fire chief Marty Bedard said the floor heated up-it then melted-resulting in several pigs falling into the manure held underneath the barn.” Horrific. June 6, 2017 Roughly 7,000 to 10,000 chickens have perished in a barn fire in the 4100-block Ross Rd. of Abbotsford. Firefighters saved a second barn. Update: The death toll has now risen to 25,000. This same farm had a similar fire in 2012 when approx. 18,000 trapped hens tragically lost their lives!! Suspicious? A thorough investigation must be carried out. We’ve once again contacted politicians and other officials reminding them that producers are compensated by government subsidies, bailouts, taxpayer dollars, and insurance. This government, and previous ones, have been shameful in their abdication of duties, working alongside powerful corporate interests, while setting aside animal welfare reforms. June 9, 2017 Almost 4,000 pigs burned to death in the evening hours of June 8, trapped in a barn in Manitoba. The barn was located in “hog alley” near Bothwell, in southeast Manitoba — the same area currently experiencing an outbreak of porcine epidemic diarrhea (PED). The timing and location of this most recent barn fire is certainly raising eyebrows, causing many to ask whether producers, faced with an expensive quarantine and clean up, are instead taking their chances with insurance. It could very well be. Something’s not sitting right. August 1, 2017 An estimated 1,000 piglets are dead after a barn fire in Oxford, county, SW Ontario and days later, on August 10th, approximately 4,000 pigs tragically lost their lives. 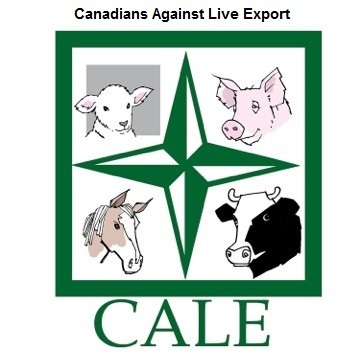 The Canadian agricultural sector, the Canadian Codes Centre, and our government all bear responsibility for their failure to provide even minimal protections for farmed animals in this country. November 12, 2017 Another devastating barn fire in Steinbach, Manitoba, killing 7,500 pigs – most of which were piglets. Together, the three barns held a total of 3,000 female pigs and 6,000 piglets. This is an epidemic! Factory farming is unconscionable, and industry is getting away with murder. NB: The NFACC recently announced that it will include information about barn fire prevention in every newly drafted species code and this was in response to public pressure, not industry or government. January 9, 2018 A massive blaze in Perth County, (SW ON) has destroyed a barn and killed over 1,800 pigs. The small pigs were worth between $75 and $100 each. Two days earlier about 150 pigs perished in a barn fire in Wellesley. If you stop buying, they’ll stop dying. Animal agriculture is an unnecessary, disturbing, and savage, with economic interests surmounting those of animals every time. Some interesting reading: Corporate Hog Barns and the Threat to Public Health, the Environment and Rural Communities. April 12, 2018 Close to 14,000 baby chickens died in a Port Coquitlam (BC) barn fire. The sheet-metal clad structure was fully involved when firefighters arrived. The fire chief noted that there was a lot of flammable material inside the building, like wood and straw. Since industry and government clearly don’t consider such a massive loss of life a major issue, we, as consumers, can take decisive action by refusing to buy animal products. May 29, 2018 Over 3,000 Pigs Burned to Death at Infamous #PigTrial Van Boekel Farm. The Oxford County barn has burned down with 3000 sows and an “undetermined number of other pigs” trapped inside. Although the OPP say the fire is not suspicious, the Ontario Fire Marshal has been called in to investigate. In June 2015, Eric Van Boekel called authorities to arrest Anita Krajnc for giving water to pigs from his farm being transported to Fearman’s Pork slaughterhouse. June 5, 2018 Approximately 12,000 pigs (1,200 sows) and piglets (10,800) perished in a barn fire northwest of Rosetown, Saskatchewan, Friday, June 1st. Firefighters and RCMP were not allowed on site. The fire could be seen from seven to eight km away. The production facility, known as Eagle Creek Farm, is owned by Quebec meat production company Olymel. Casey Smit, vp of swine production for Olymel's Western Canada division said the facility had no sprinkler systems. In April, 2014, 3,500 pigs also burned to death at OlySky near Lanigan, Sask., also owned by food processing giant Olymel. Barn fires can be avoided and are just another manifestation of a broken system. This would never happen if it were people. September 20, 2018 Three cows were lost in a large barn fire that broke out in Agassiz, B.C., overnight, according to fire officials. The blaze started in a bunker silo at a property. 40 firefighters fought the blaze. It could have been so much worse. October 13, 2018 Nearly 30,000 chicks are dead after a fire burned through a barn in Sheffield Mills, Nova Scotia. November 7, 2018 Mount Forest, Ontario: 350 goats, 20 rabbits and two horses killed in massive barn fire. December 11, 2018 A massive fire consumed a pig barn in Quinte West, Ont., Tuesday, killing at least 1,300 animals. Fire Chief John Whelan said about 100 animals were rescued from the blaze, but the structure became unsafe and he had to get firefighters out of harm's way and couldn't save any more animals. "It was hard to deal with; we heard a lot of the animals screeching and crying," he said. We couldn’t agree more– it’s absolutely heartbreaking. February 8, 2019 Fire crews in Pitt Meadows, B.C., dealt with multiple fires on Friday, including a large blaze that killed more than two dozen cattle. Fire spread to a barn after initially igniting in a smaller structure that housed calves, killing all but one of them. October 26, 2014 - US News Truman, Minnesota: Roughly 4,000 sows and 6,000-7,000 piglets were killed in a massive barn fire. Earlier this month, a fire in a North Carolina factory farm killed 4,200 piglets. Comment: While producers are compensated by government, taxpayer dollars, and insurance, these animals suffered enormously before perishing, and most people will think nothing of it. Think again; show you care by adopting a lifestyle that is free of animal products. Animals are not commodities and it’s time we stopped treating them as such. Washington, DC—More than 150,000 farm animals perished in potentially preventable barn fires in the United States in 2018, an Animal Welfare Institute (AWI) analysis of media reports to date has found. Of the 148 barn fires tracked in 2018—nearly double the number documented one year prior--Wisconsin reported the most fires (19), followed by Ohio (18) and New York (18). December 4: 50,000 chickens at Mussman’s Back Acres in Grant Park, IL. October 22: 26,000 ducks at an unknown farm in Waynesboro, PA.
June 18: 25,000 chickens at Draper Valley Farms in Tenino, WA. February 26: 14,000 chicks at Draper Valley Farms in Mt. Vernon, WA.